On March 18th 2018, the West Nipissing Police Service responded to a call of a possible assault. Officers learned from the victim that he was at his Arthur Street home in Sturgeon Falls with a few acquaintances. The group hung out for a while and the guests decided to leave. The victim walked his invited guests to the door however prior to leaving the residence one of the individuals struck the victim in the face. As a result of being struck the victim fell to the ground and a small laceration was caused to the left side of his head. The investigation is ongoing. 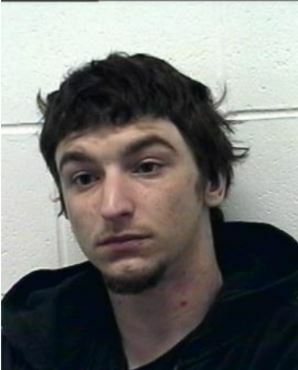 Police continue to search for Justin Danis DOB: 12-06-1991 of no fixed address. Danis’ whereabouts is urged to contact the police or local crime stoppers. The West Nipissing Police Service continues to receive theft complaints from residents in various parts of Sturgeon Falls. The complainants report that their vehicles have been entered and personal items have been stolen. Police know the culprit(s) are going driveway to driveway hoping to find an unlocked vehicle and when they do they rummage through it looking for anything of value. Most of these thefts can be prevented by remembering to lock your vehicle doors. People are reminded to report these thefts as they can help identify patterns and in the event that property is recovered police can return the merchandise to its’ rightful owner.